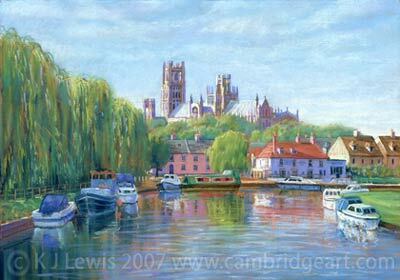 Painting of Ely Riverside, Cambridgeshire. Also prints, cards, e-cards, fridge magnets and keyrings. 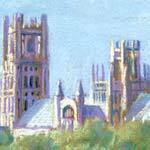 A pastel painting of Ely, Cambridgeshire, England,	from a collection of 186 prints of the county. Limited edition prints of this picture are for sale online below.